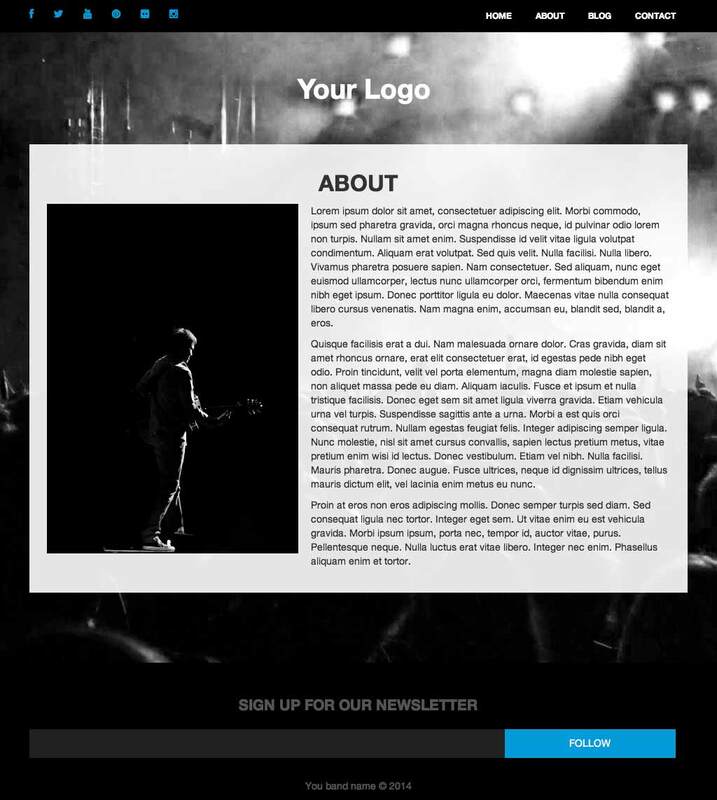 The Boom Music template is geared for music artist, bands, and DJ'S. 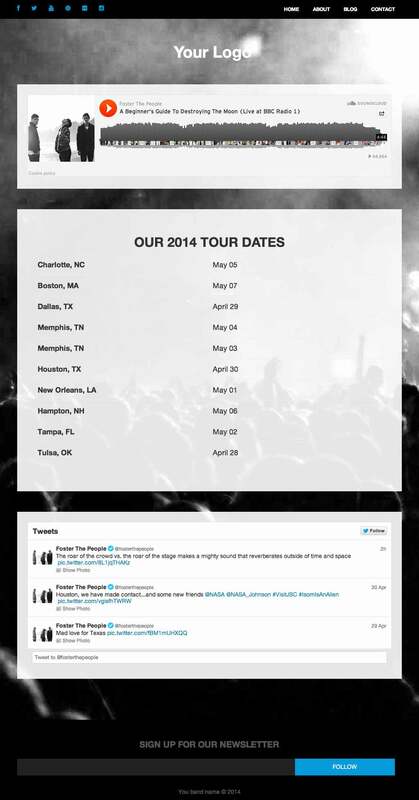 The theme utilizes a Soundcloud widget for sharing the artists music. 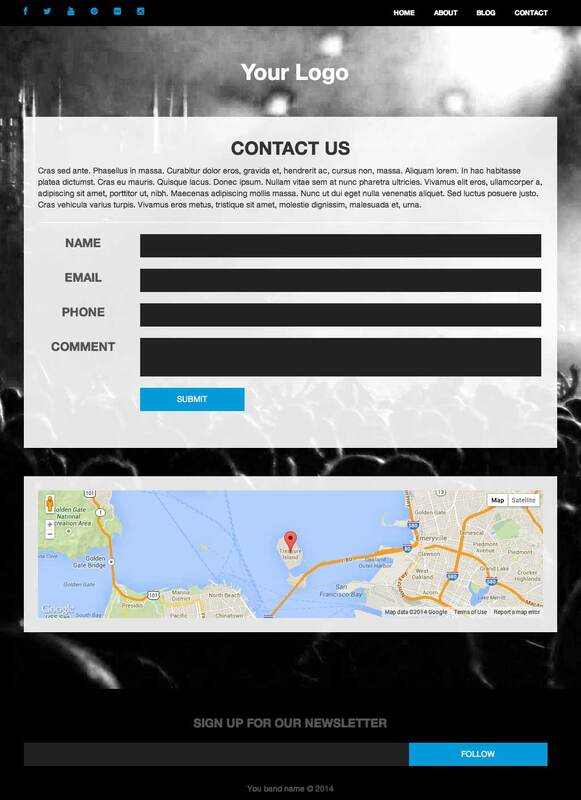 Along with a tour date scheduler, social media integration and both a newsletter / contact form to engage with your audience. Boom Music is fully responsive and looks great on all browsers and devices. Why wait any longer, get a copy of the Boom Music theme and start showcasing your talents today!! !